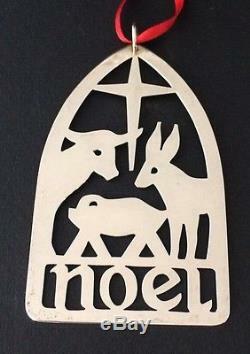 Retired James Avery Noel Nativity Christmas Ornament. Size: 3 1/2" x 2 1/16". This item is made of 925 Sterling Silver. 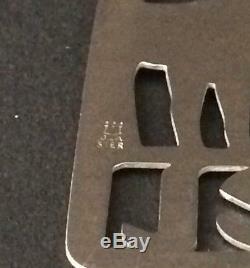 Stamps: James Avery Hallmark, 925. Condition: Good used condition with some minor wearing and light surface scratches. Please note that photos are part of the item's description. 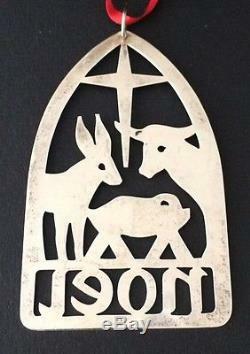 The item "Retired James Avery Sterling Silver Noel Nativity Christmas Ornament. 925" is in sale since Thursday, May 11, 2017. This item is in the category "Jewelry & Watches\Fine Jewelry\Fine Necklaces & Pendants\Precious Metal without Stones". The seller is "randomandrare" and is located in Port Aransas, Texas. This item can be shipped to United States.